Pets are considered to be part of the family, so a pet’s death is often a very difficult time. When your pet passes away at home, you may not know what you should do next or what your options are. 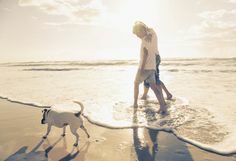 It is best ask yourself what you want to do with your pet’s remains while that pet is still alive and healthy, so it gives you an opportunity to evaluate all the factors that may be involved in such a decision. However, if you haven’t already given this consideration, the first thing you need to consider is your own feelings about death and remembrance. Your goal will likely be to preserve the memory of that pet, therefore your decision for their disposition should be based on how you think that memory can be best preserved. You have many options available to you. Whether you simply wish for the body to be removed from your home, you would like to bury your pet yourself, or you would like to make arrangements for a memorial service, cremation, or to permanently memorialize your pet in some special way, the choice is yours. If your pet is under the care of a veterinarian at the time of their passing, you can call them to help guide you through your options and resources. Some people simply leave the decision of the final disposition of their pet up to the veterinarian. However by doing that, you never know how your pet was finally laid to rest, which may be troubling to you and your family. There are currently several pet crematories throughout New Hampshire that can usually pick up your pet’s remains from a veterinarian or from your home. Some veterinarians also provide cremation services – with a few even doing so at no extra charge if they have euthanized your pet or if it dies at the vet’s office. If you would like your pet laid to rest in a cemetery, you have options there as well. There are currently two pet cemeteries in New Hampshire that I am aware of – Proctor Animal Cemetery in Nashua (through the Humane Society of Greater Nashua), and Rolling Meadows Pet Cemetery (through the NH SPCA) in Stratham. Some human cemeteries do allow for pets to be buried alongside their human families, so it may also be worth calling your cemetery to find out.